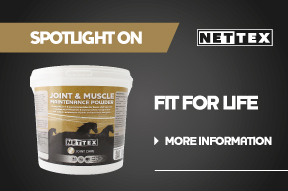 The Nettex Electrolyte Range has been formulated to help replace vital salts that are lost through any form of sweating brought on from strenuous exercise, travelling or stress-related conditions. 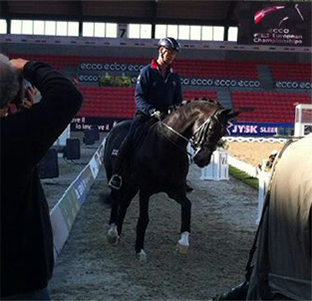 "Only a few weeks to go until WEG." 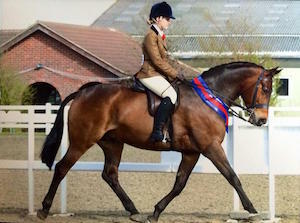 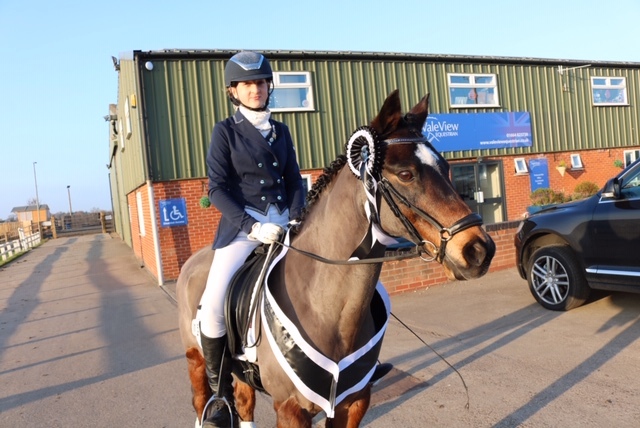 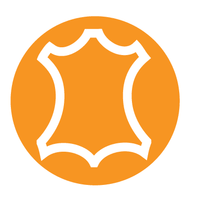 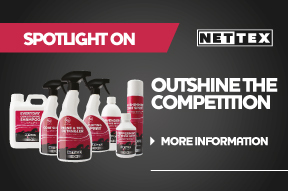 "As a lover of coloured horses and less conventional dressage horses it’s great that the Nettex Associated Championships bring together all types of breeds to compete." 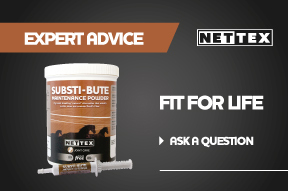 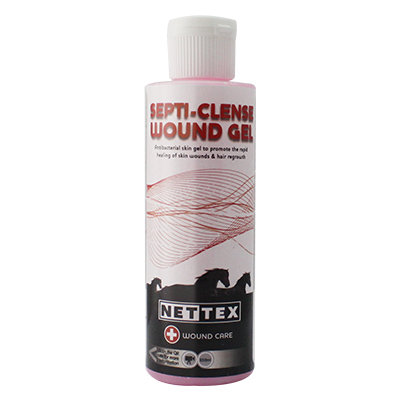 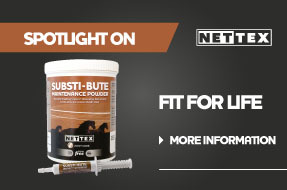 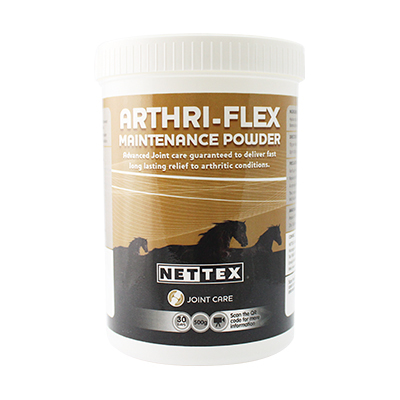 With the stresses and strains that we place on our horse’s limbs looking after their joints is essential and this is where Nettex can help. 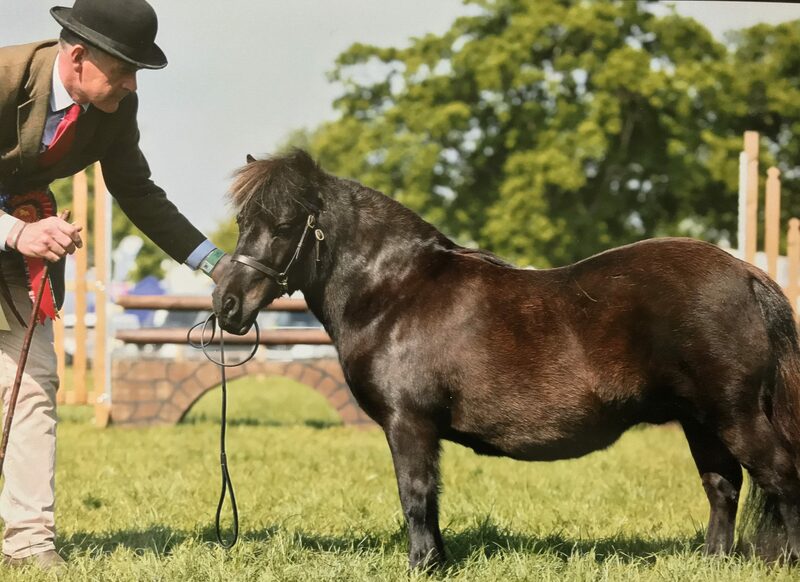 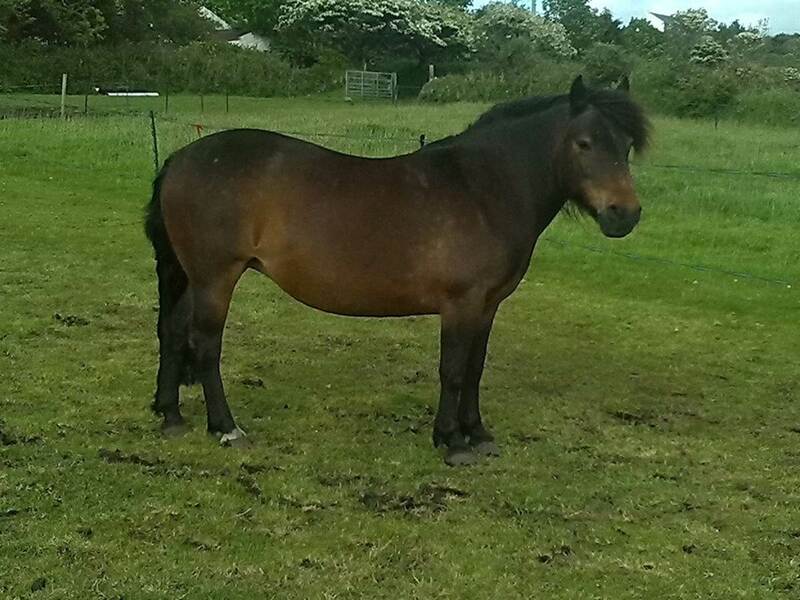 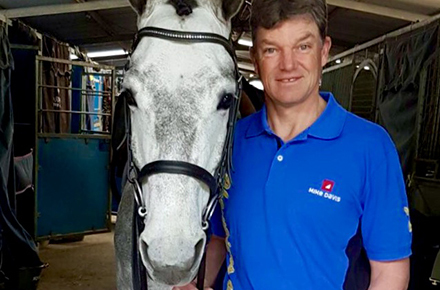 Carl Hester's International Travelling Groom, Alan Davies while not caring for top dressage horses has his own growing herd of miniature shetlands. 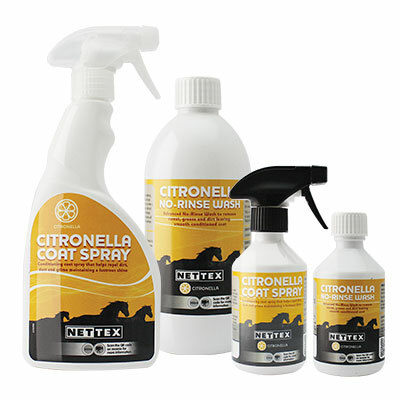 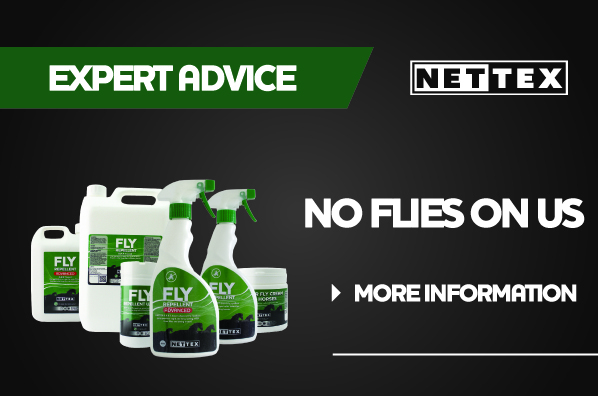 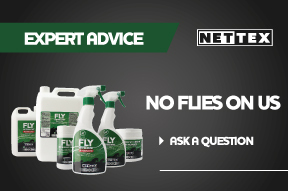 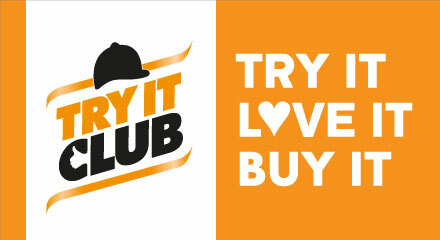 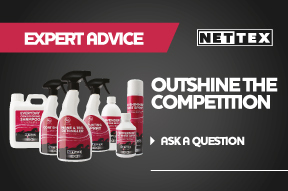 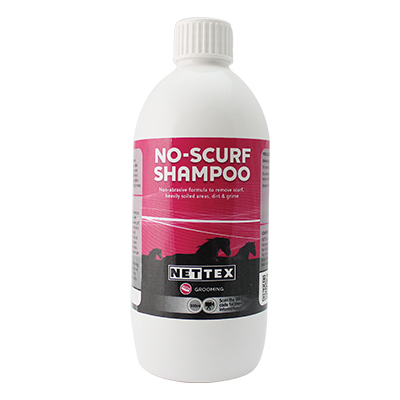 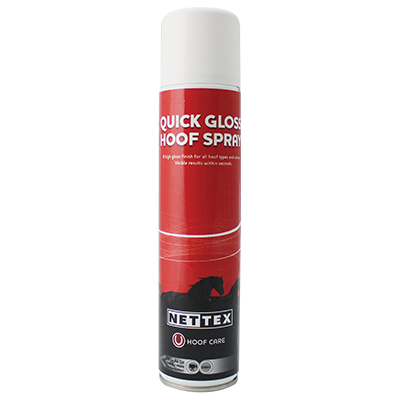 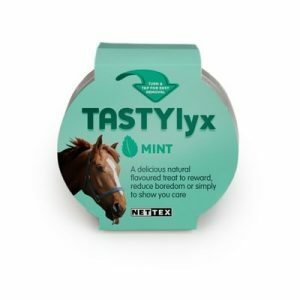 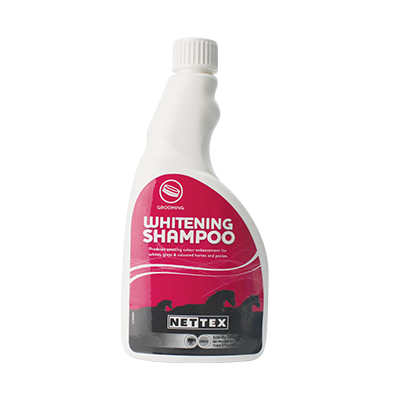 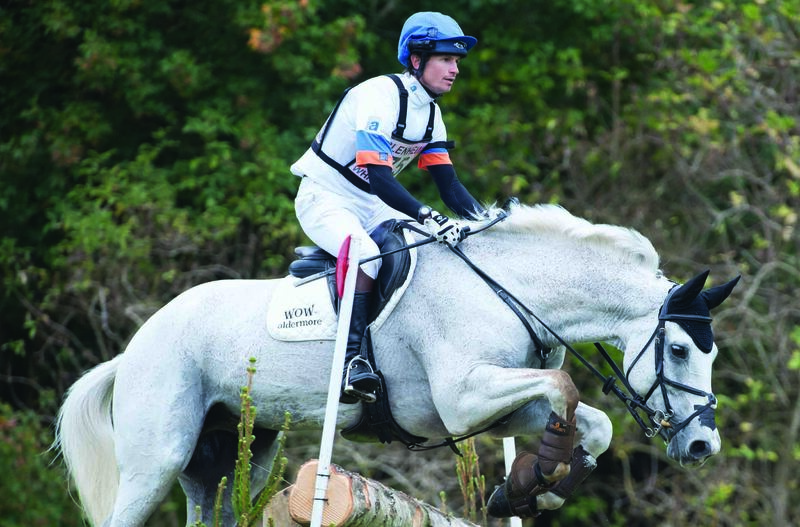 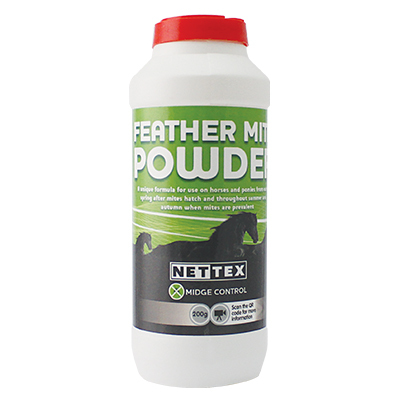 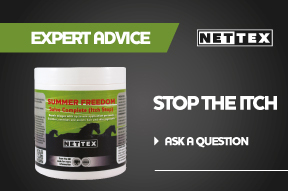 The Nettex Fly Control Range is a range you can trust and your horses and ponies will love you for choosing this range, helping them to enjoy time spent in the field without irritation. 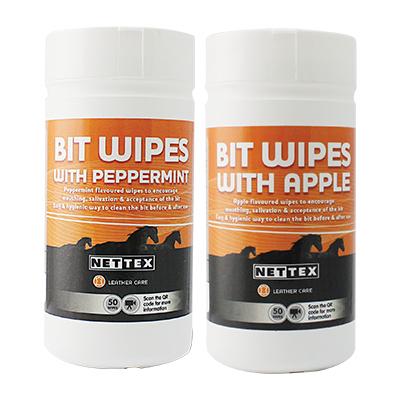 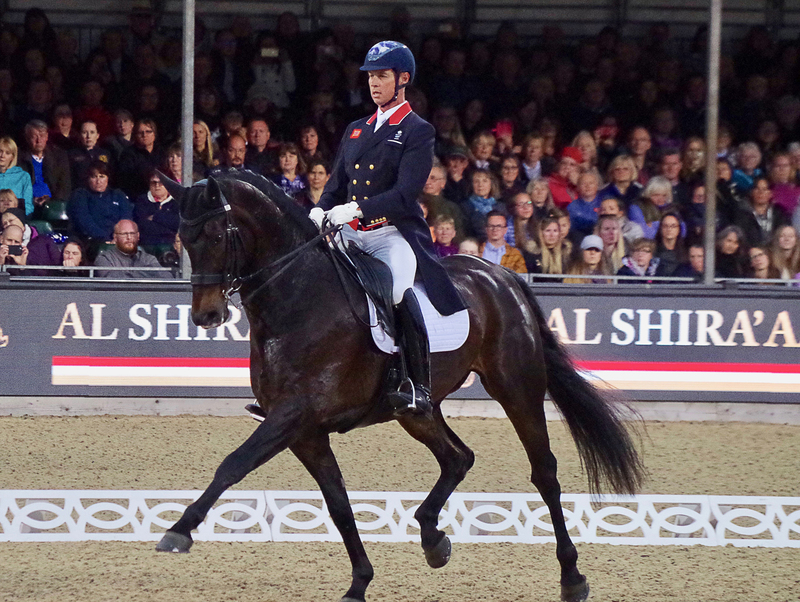 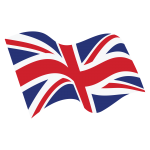 Nettex are delighted to announce their sponsorship of the British Dressage Associated Championships for 2018 which will be called the NETTEX Associated Championships 2018. 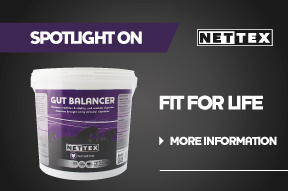 Nettex Gut Balancer is a highly effective probiotic and prebiotic. 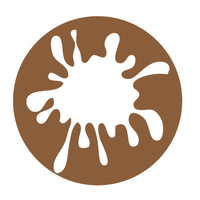 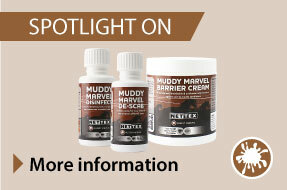 We have put together a guide to help you understand what mud fever is, how you can treat it and crucially how it can be prevented. 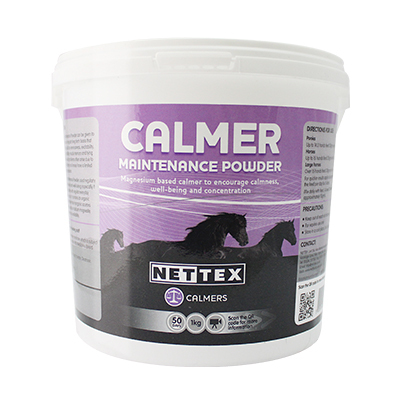 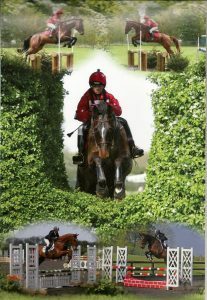 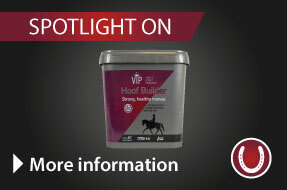 Great as a boredom breaker for when they are stabled or in the field with the added benefit of supporting performance. 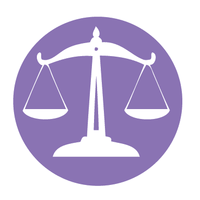 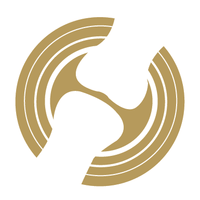 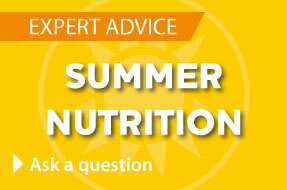 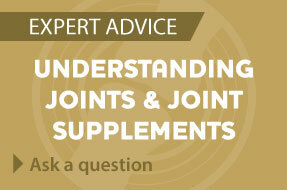 Learn more about joint issues such as arthritis, how best to treat and help prevent. 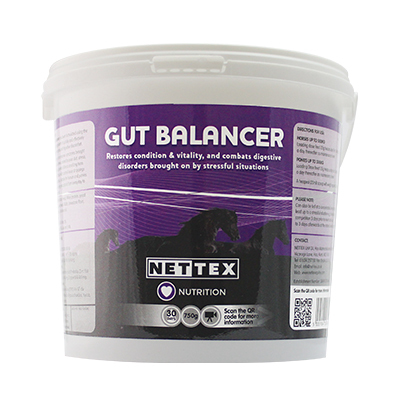 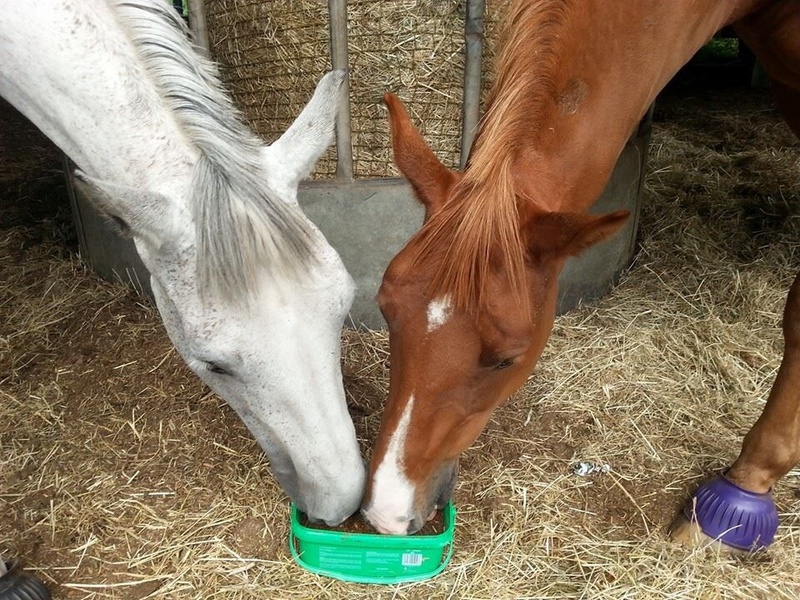 We all know the importance of our own diet being balanced, and horses are no different. 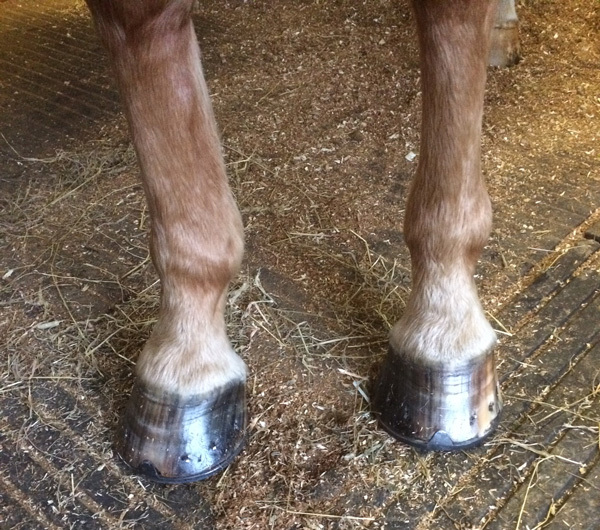 I am feeling confident that he will be able to remain barefoot and will continue to feed VIP Hoof builder. 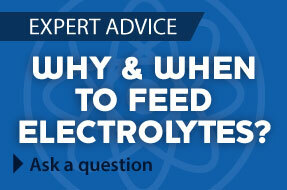 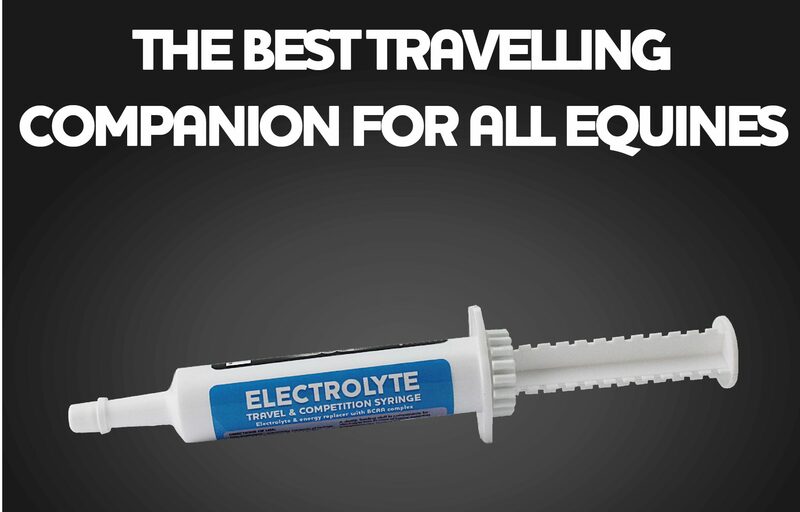 Knowing why and when to feed electrolytes is crucial to help your horse to stay in tip top condition and enjoy the summer months. 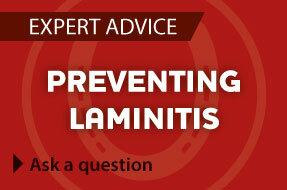 Horses showing signs of laminitis must be treated as an emergency, as chances of recovery are maximised if treatment is started early. 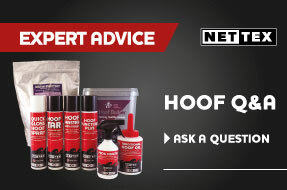 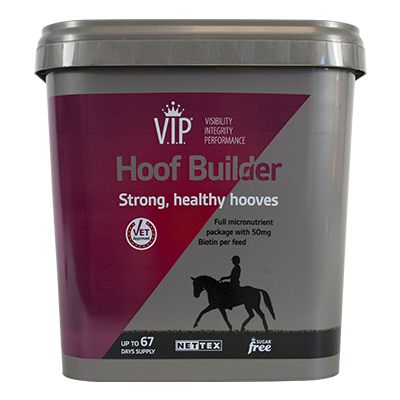 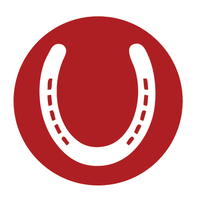 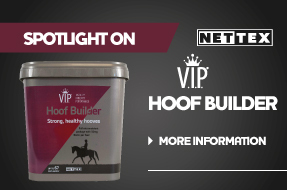 Healthy hooves are of utmost importance when it comes to your horse’s wellbeing. 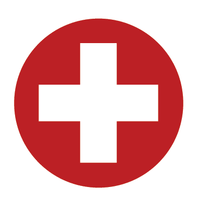 Ulsa Shield is an advanced, vet approved, sugar free formula containing a unique blend of ingredients to maintain gastric health, soothe the stomach walls and support normal acid levels. 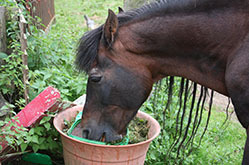 A balanced diet is required to keep horses in good condition and allow them to perform the work asked of them. 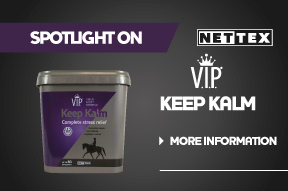 I have been using the NETTEX V.I.P.® Keep Kalm for a few months now and noticed a difference with in a week. 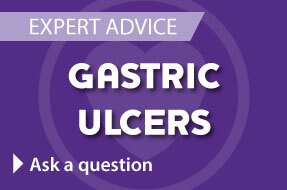 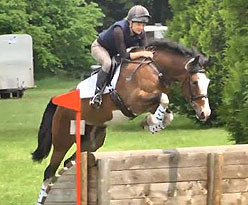 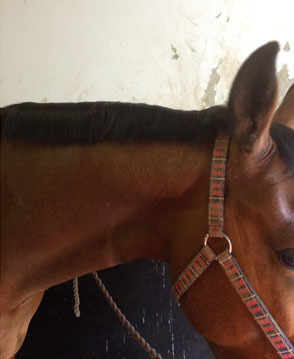 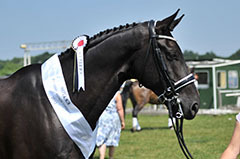 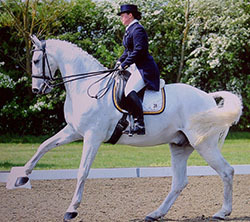 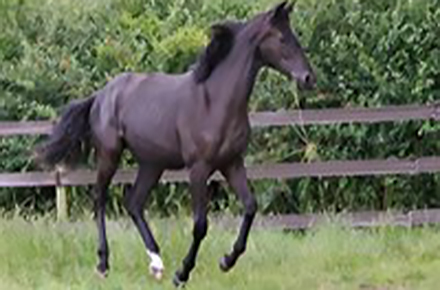 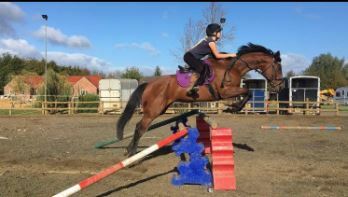 Any horse can suffer from gastric ulcers, from racehorses to pleasure horses and ponies. 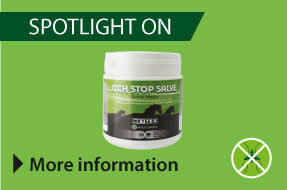 Learn more on about the key features, treatments and prevention. 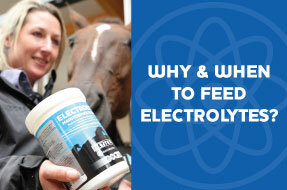 Knowing why and when to feed electrolytes is crucial to help your horse to stay in tip top condition and enjoy the spring and summer. Complete stress relief with V.I.P.® Keep Kalm our innovative casein and chelated magnesium calmer. 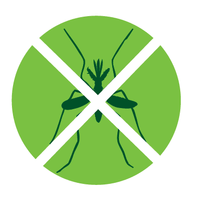 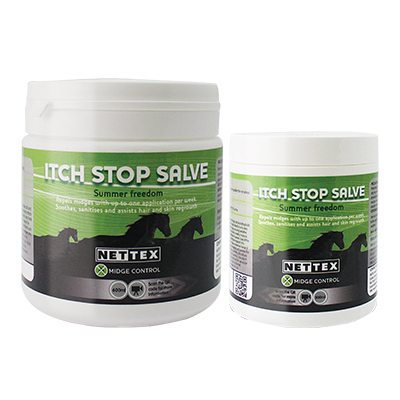 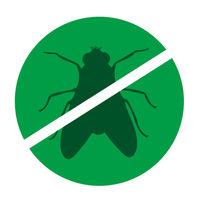 Nettex Itch Stop Salve / Summer Freedom is an advanced cream which helps repel and protect against insects and biting flies. 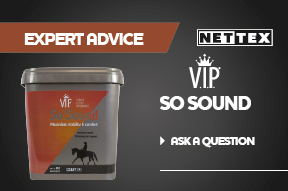 Since she has been on the NETTEX V.I.P.® Ulsa Shield Buttercup is going better than ever, she is scopey in her jump and a lot more willing to work! 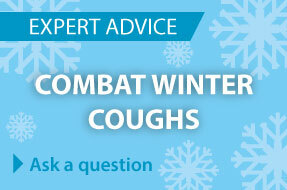 As winter drags on and our horses are stabled for longer periods coughs can become part of daily life. 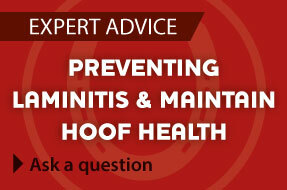 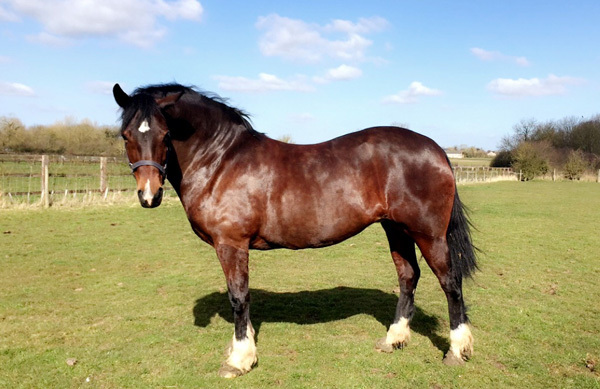 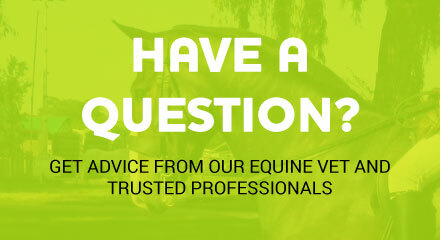 We reveal the common causes and how you can protect your horse. 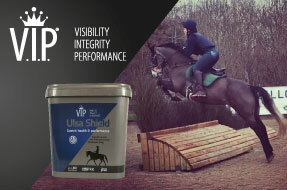 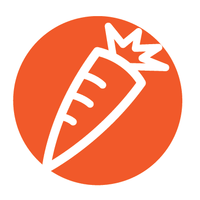 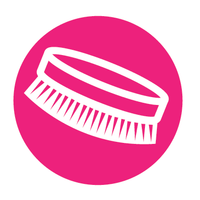 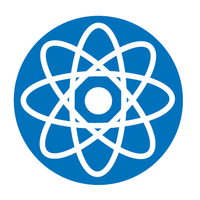 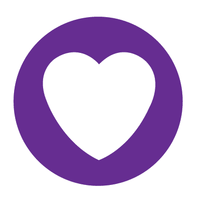 "We have been using Ulsa Shield for approximately 2 months and have definitely notice a very marked improvement in U-Beauty's health, attitude and general wellbeing." 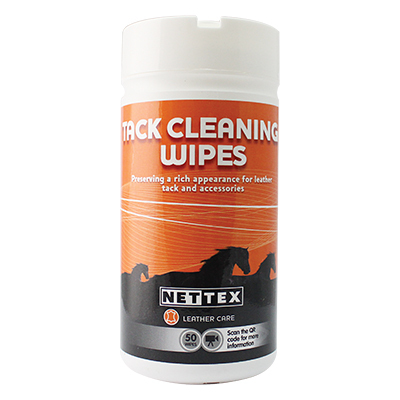 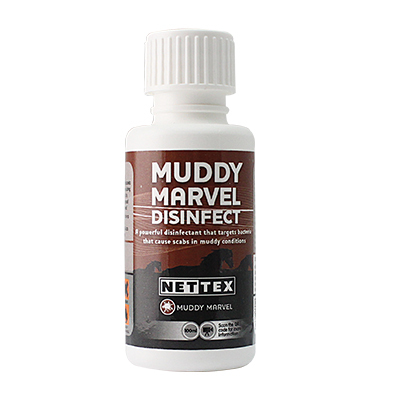 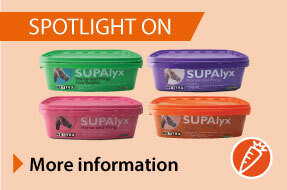 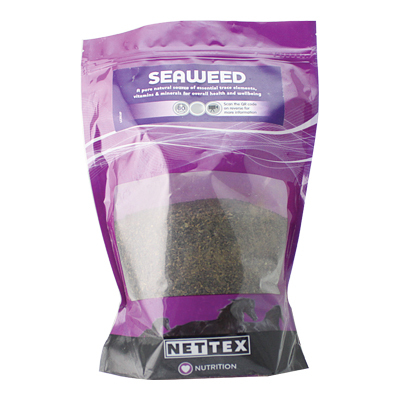 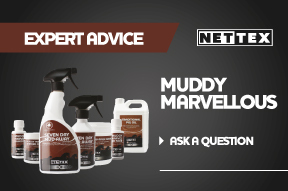 Nettex presents the three-step Muddy Marvellous Solution to mud control. 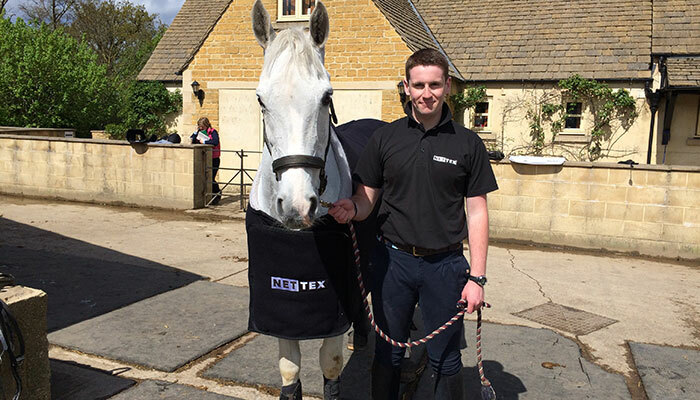 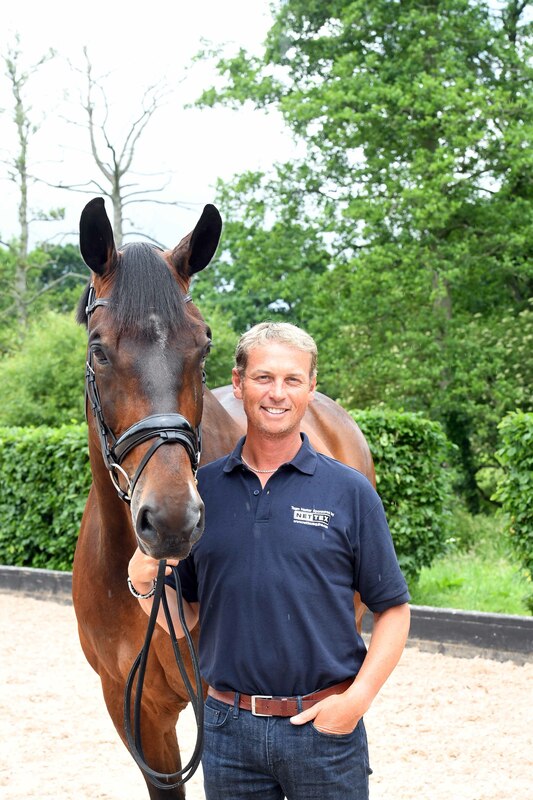 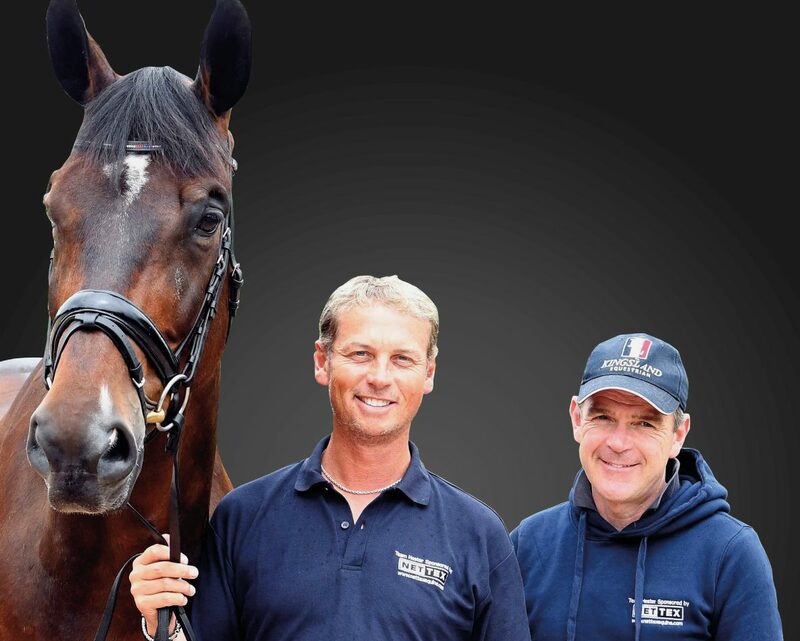 We were delighted to catch up with Nettex brand ambassador, Carl Hester at his busy yard this week. 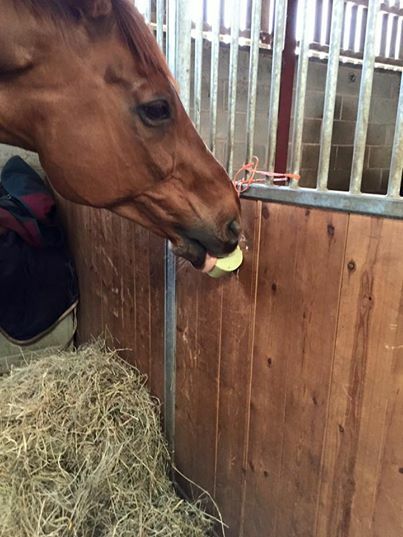 Harry's the favourite (had him the longest) so he got first choice, turns out he loves the mint!!! 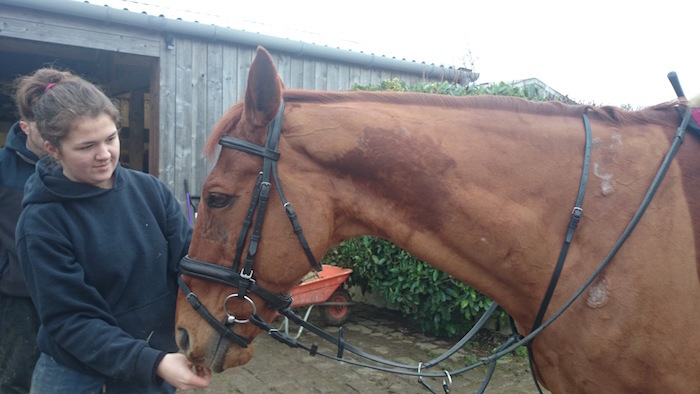 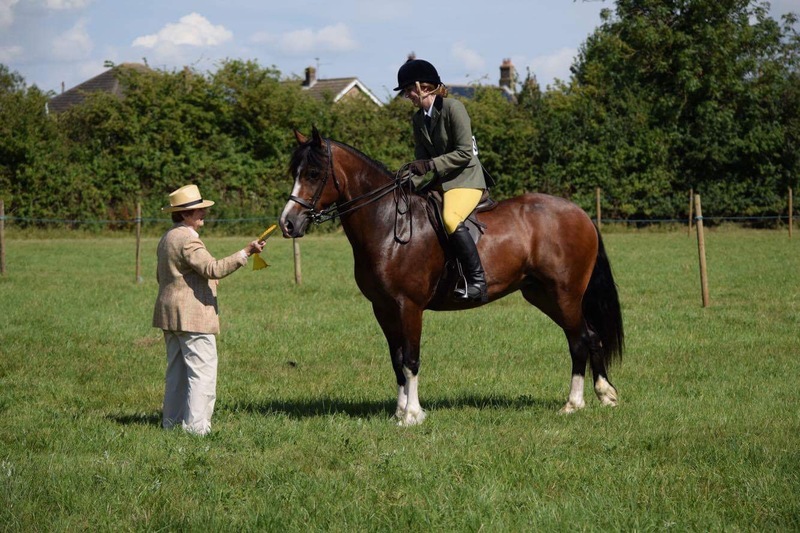 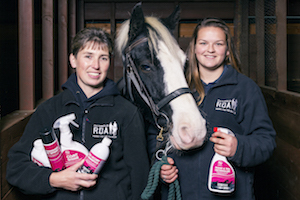 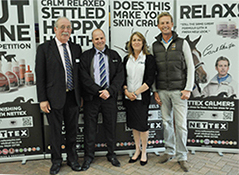 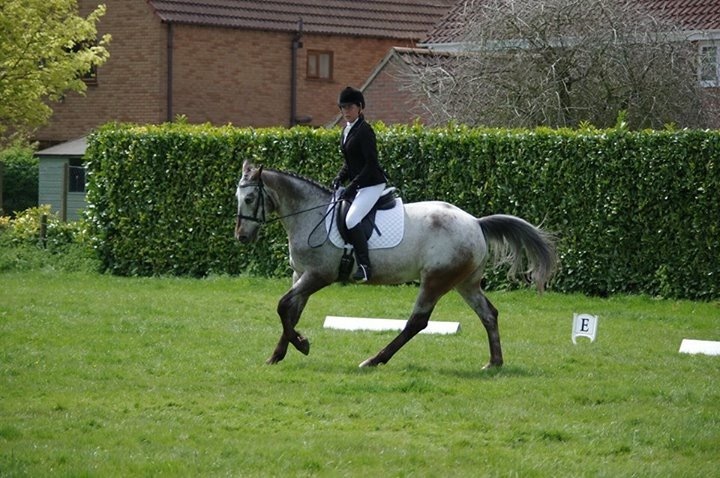 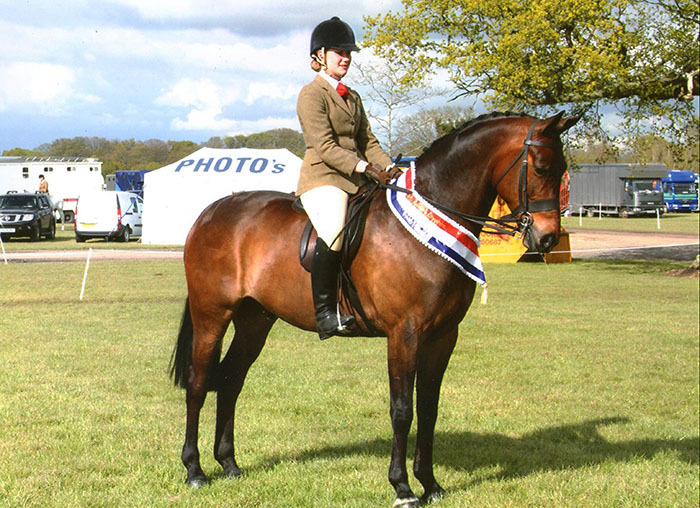 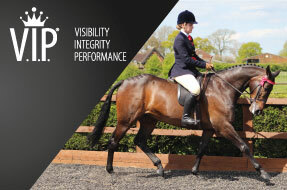 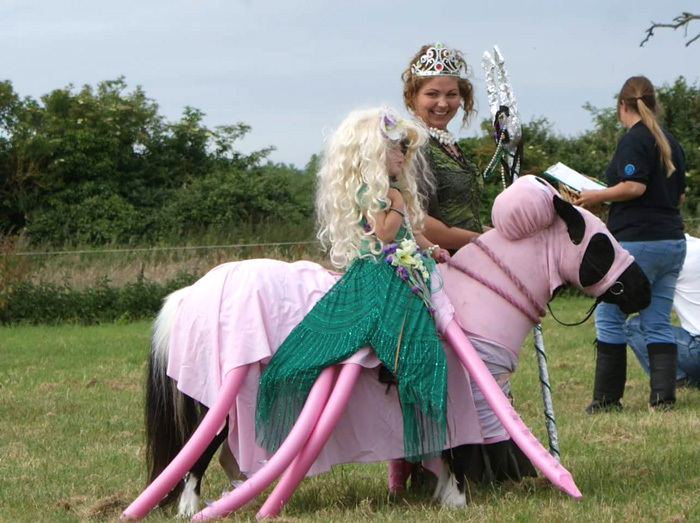 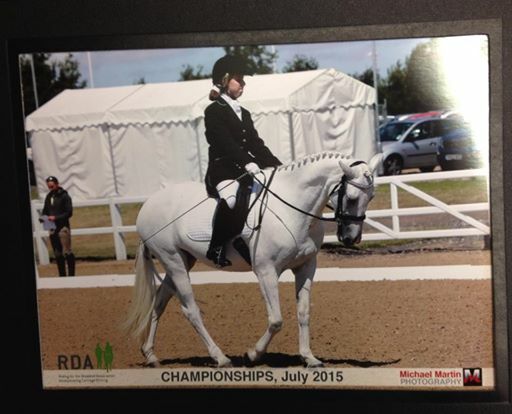 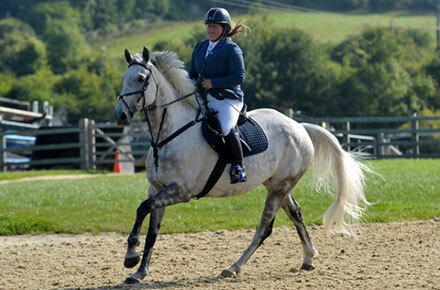 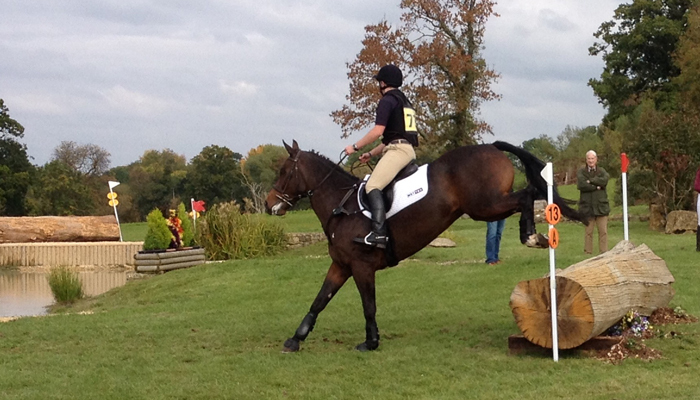 Nettex are delighted to be supporting Cotswold RDA and their fantastic horses and ponies.